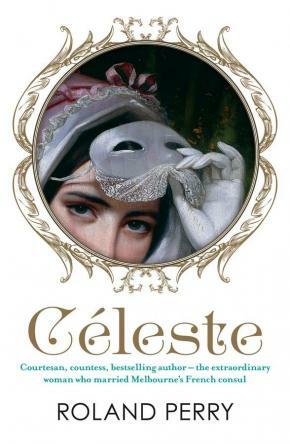 The true story of the Countess Céleste de Chabrillan is a rich and tempestuous tale of an extraordinary woman. Born in the gutters of Paris in 1824, Céleste made her name as a dancer in the Parisian dance halls, where it is said she invented the can-can. Then, as an equestrienne at the Paris hippodrome, her daring feats on horseback thrilled the crowds. However, it was as the city's most celebrated courtesan that the young Parisian found genuine fame and fortune. Strikingly beautiful and charismatic, her lovers included famous novelists, artists and composers, not least Georges Bizet, whom, many believe, based his free and fearless Carmen on Céleste. But when Céleste married the Count de Chabrillan, a prominent member of the French aristocracy, Parisian society was scandalised. And when the pair turned up in far off Australia, where the count served as the first French consul, Melbourne society was scandalised in turn. Later a bestselling memoirist, novelist, playwright and librettist, the remarkable Countess Céleste de Chabrillan was, indeed, a woman far ahead of her time.